In case you couldn’t tell, I have a thing for complexion mists. Face mist is the first product I reach for as soon as I’m done washing my face and yes, I am convinced that my life just wouldn’t be the same without them. 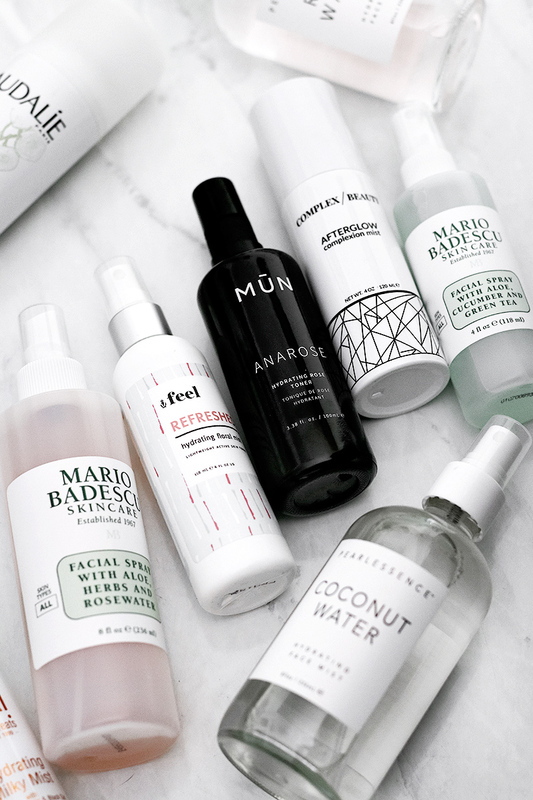 To use anytime, anywhere: Mario Badescu Facial Spray with Aloe, Herb and Rosewater and MUN Anarose Hydrating Rose Toner. I can’t tell you how many bottles of the Mario Badescu spray I went through over the years. I’m also pretty sure it was one of the first products of this kind, I’ve ever tried. Needless to say, I’m hooked because I only talk about it like… all the time. It’s refreshing, non-irritating and brings quick relief for dry, tight-feeling skin. This MB mist also comes in a Cucumber and Green Tea version, which does contain peppermint, so it might not be as suitable for sensitive skin types. 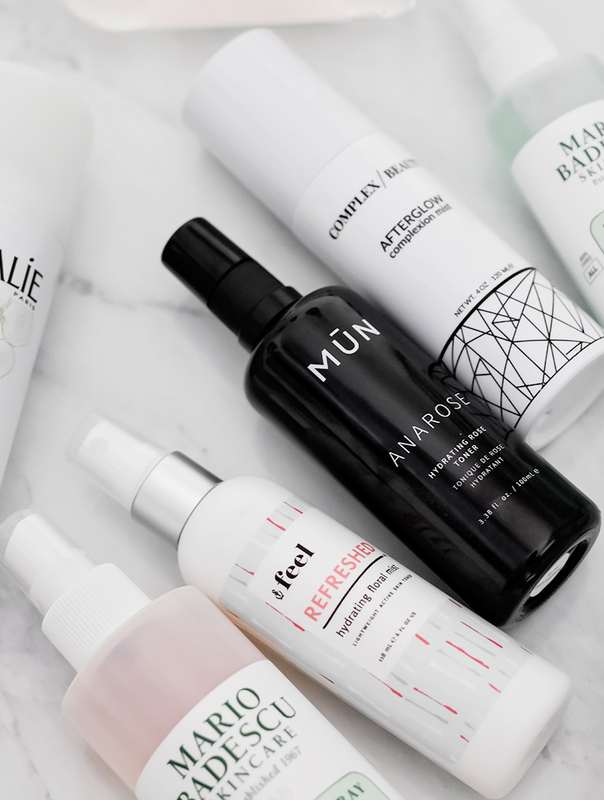 MUN’s Anarose is incredible for sensitive skin. 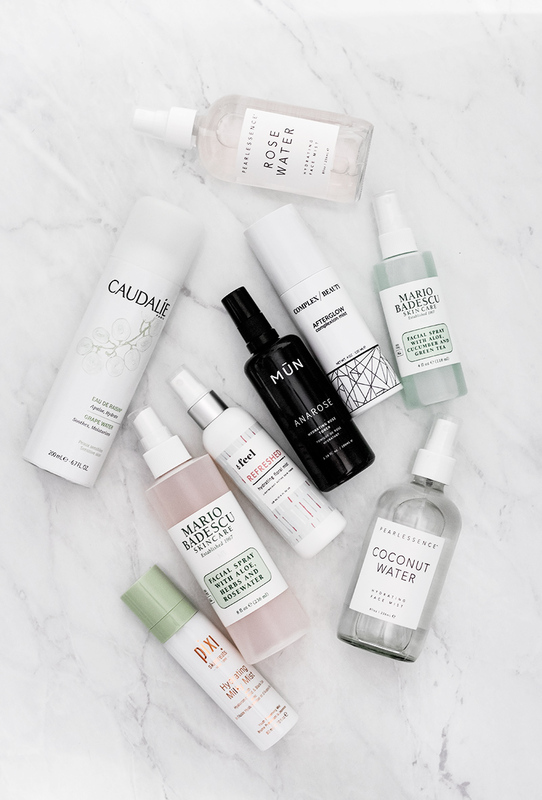 This toner/mist is formulated with Bulgarian Rosewater, Hyaluronic acid, Willow Bark Extract and Goji Berry Extract (use “MUN13T” to save some $$). 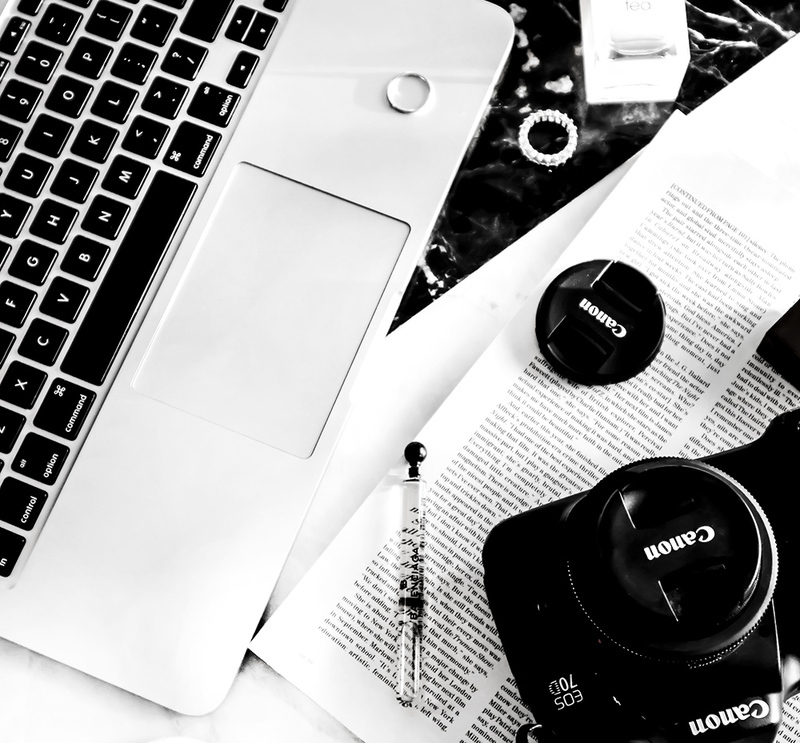 Just like the MB mist, Anarose is perfect to use anytime, anywhere; right after washing your face, during the day for a little pick-me-up, before and after makeup, after a shower, before a workout- you get the idea. To use at night: Complex Beauty Afterglow and Feel Refreshed Hydrating Floral Mist. You’ve seen me talk about Afterglow quite a bit and for a good reason; it’s one of my favorite skincare products at the moment. Amongst other ingredients it contains lavender water, colloidal silver, tamanu oil, MSM and Glycolic Acid. I reach for Afterglow every time my skin is looking dull needs a little perk up. I actually also love layering Anarose and Afterglow– after this combo my skin feels like it doesn’t even need a moisturizer (but you know, I still use one). Feel Refreshed Hydrating Floral Mist is light, non-sticky, very refreshing and formulated with 10 natural extracts- I love using it before my serums. With that being said though, it does contain lime extract, so once again, those with sensitive skin need to stay away. Sunscreen is especially important when using these two. Summer faves: Caudalie Grape Water and Pearlessence Face Mists. The Grape Water mist is suitable for even most sensitive of skin types and while I think that the claims are a bit exaggerated (I really doubt this has helped with my skin’s texture) it is one of my favorite warm-weather products. If I owned a gym bag (which I don’t because I workout at home) Caudalie’s Grape Water would have a permanent spot in it. I love using both the Grape Water and the Rose and Coconut Waters right after the shower too, by misting them all over my face, neck and chest. All of the above can also be used after/before applying makeup, but one mist that I use exclusively after applying my foundation, is PIXI’s Hydrating Milky Mist. The adjustment that I had to make when my skin went from extremely oily to extremely dry, wasn’t easy. There’s a bunch of products that helped me with that transition and this mist is one of them. Sometimes it doesn’t matter how well I prep my skin, some foundations just leave it feel dry and tight- that’s when I mist the Hydrating Milky Mist all over. Love that this mist is very consistent and coats everything evenly while also leaving my skin feel hydrated and comfortable.